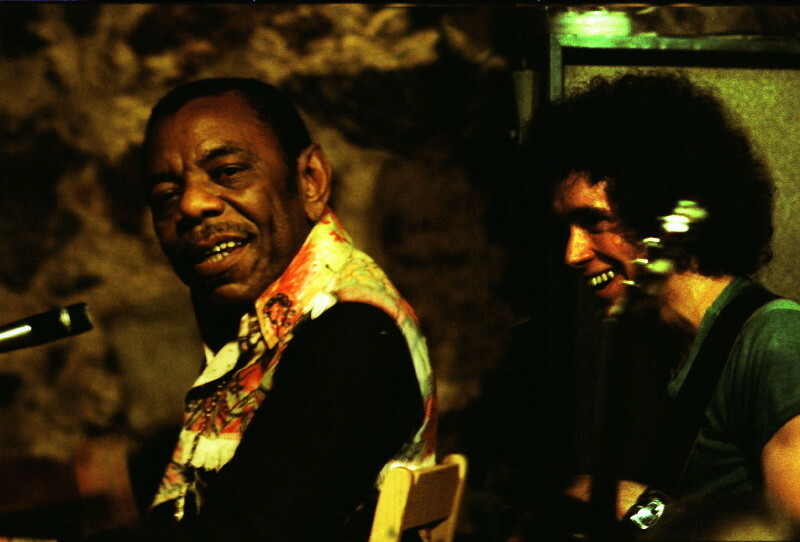 Beeing a blues fanatic, it was great to meet and play with Champion Jack Dupree. Some gigs over the years in Stockholm. I even did some gigs in Berlin with him and Mickey Baker. Mickey was a nice guy. Some nights he skipped the gig and sat down in the front row and just listened. I was young and hot and liked to play. Mickey could take that. On the new years eve Jack cooked a meal for us. Afterwards we played pool. And I beat Mickey. He got pissed, he could not take that.. Above a great shot by Bengt Ericsson at the Magnus Ladulås pub in Stockholm.